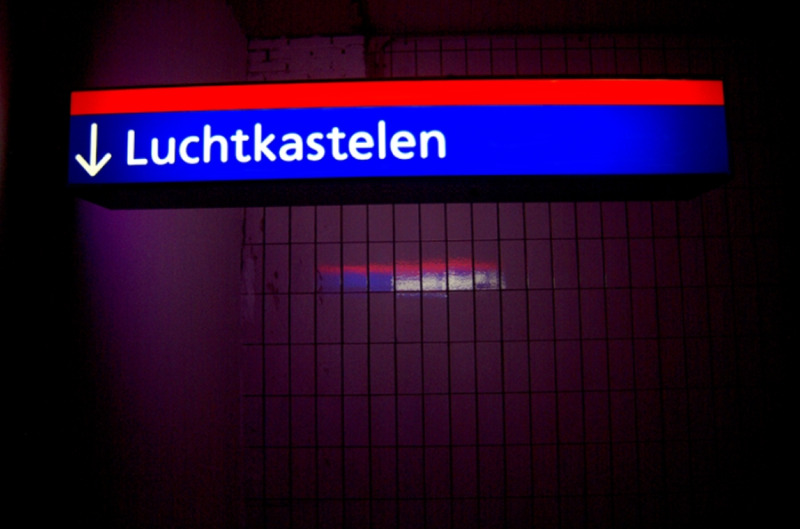 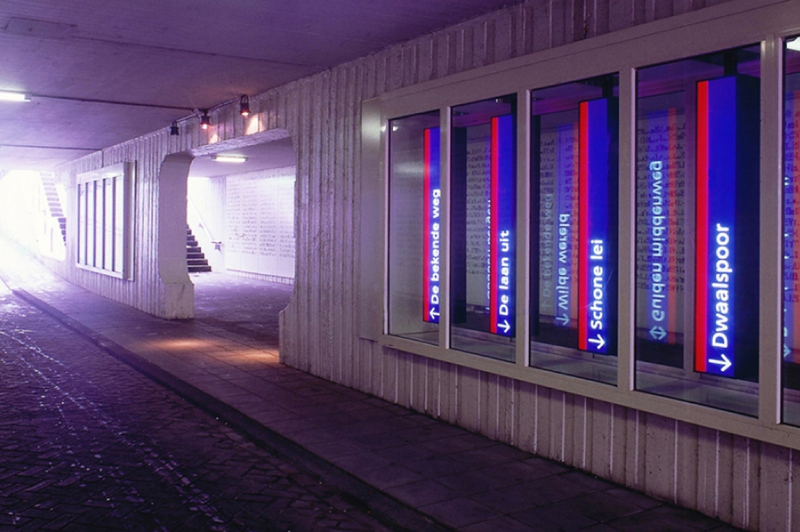 ‘A station called desire’ is an installation of 10 light boxes in the Amsterdam subway station ‘Waterlooplein’ (Hortustunnel). 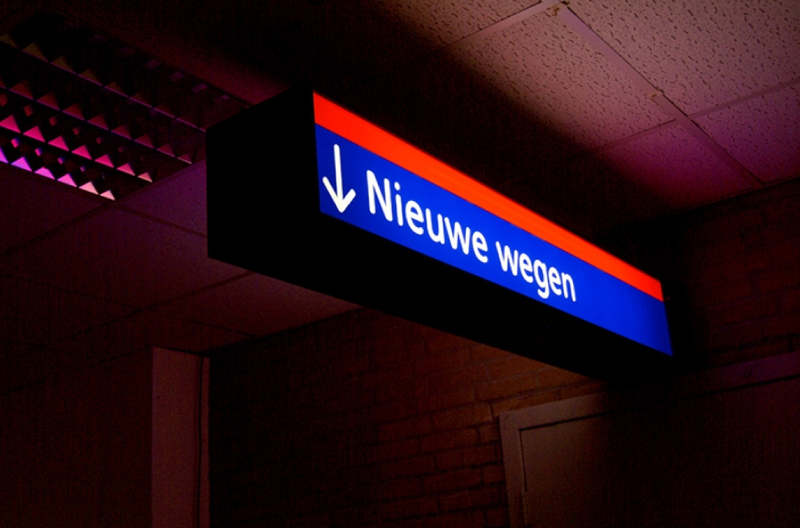 It directs passers-by to undefined destinations. 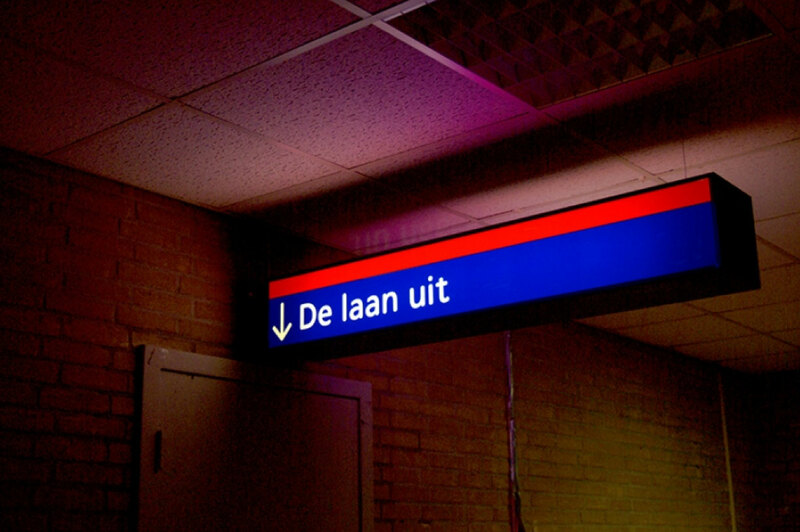 Each astray becomes a possible direction for travel destinations in our language. 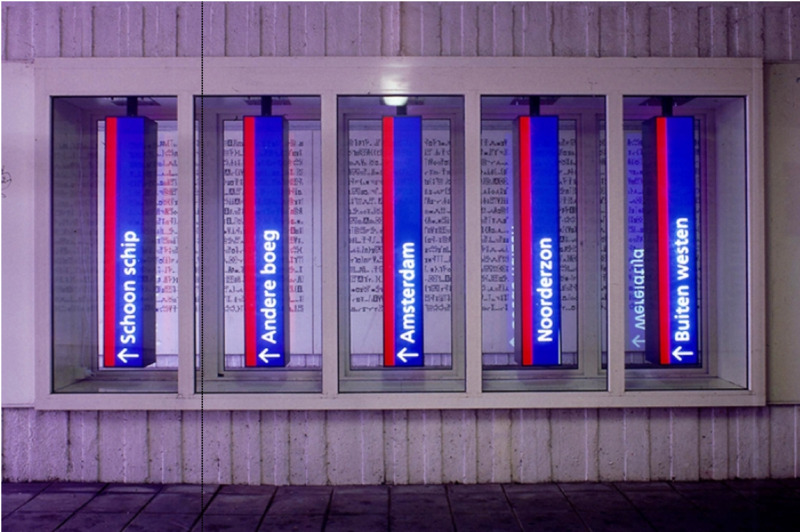 The work is based on the official GVB (Municipal Transport Company) containers that refer to ‘exit’ or ‘platform’. 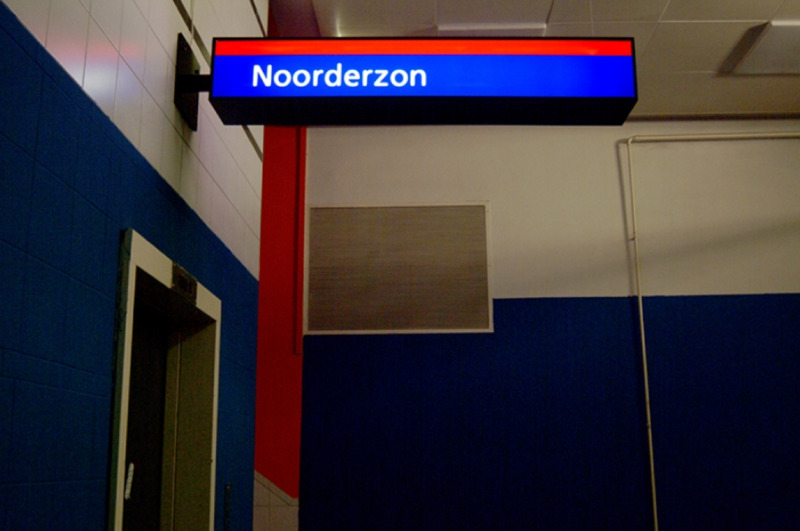 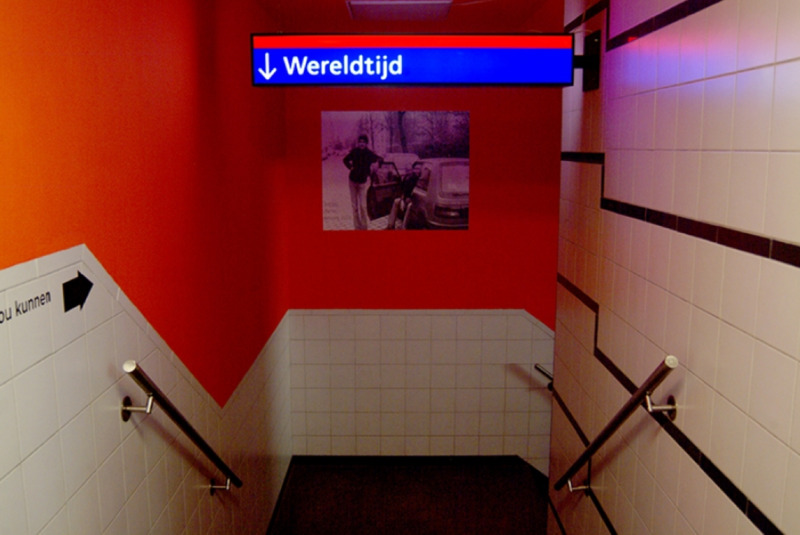 After the installation was displayed in the subway station, the Amsterdam based art center W139 installed them semi-permanent in their temporary artspace: in PostCS building.